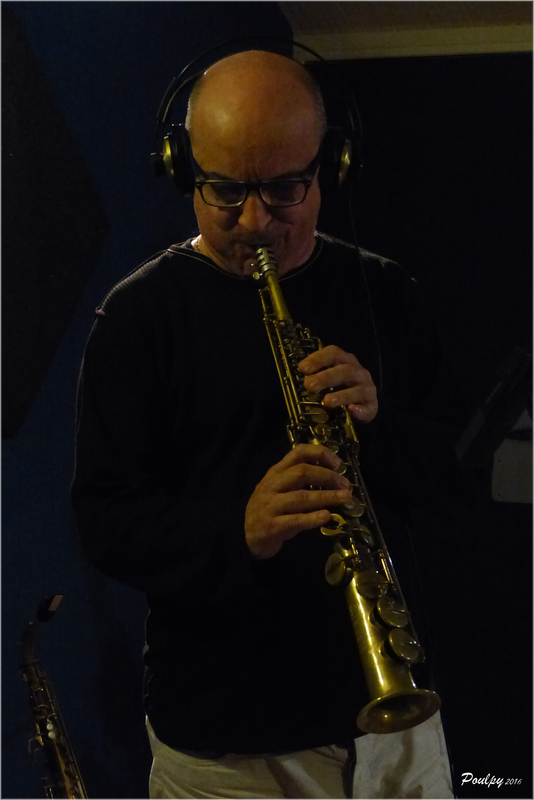 After studying classical saxophone and obtaining First Prize at the Conservatory of Nice in 1981, Jean-Marc Baccarini turned his focus to the discovery of improvised music. His first experiences in jazz came alongside musicians such as Eric Barret, Jack Sewing, André Laidli, Tony Bonfils, André Ceccarelli, Paco Séry, Etienne M’Bappé and Jean-Marc Bourel. Inspired by these experiences, he devoted himself to composition and teaching in Nice. After releasing three albums under the name Synopsis, he joined the jazz department at Nice CNR in 1993 as a professor of jazz and ensemble saxophone. Having worked with many different musicians from the south of France, including JP Cecarelli, Robert Persi and Franck de Luca, many of his personal and musical expectations were fulfilled when he met Marc Guillermont, Philippe Canovas and Christian Mariotto. Out of this friendship emerged the ‘instinctive improvisation’ group Mikaptojam, a melting pot of all his musical influences. Sylvia Versini gave him the opportunity to focus exclusively on soprano saxophone as part of a combo when she brought him into her octet, with which he performed from 2004 to 2007. Since 2007, Jean-Marc Baccarini has recorded three albums with the group Tu Danses? alongside Christian Mariotto and Philippe Canovas. In 2009, the group Bakasax came together in its current line-up. Baccarini also played in the Nice Jazz Orchestra, led by Pierre Bertrand, from 2011 to 2015. Copyright © 2017 Steuer. All rights reserved.